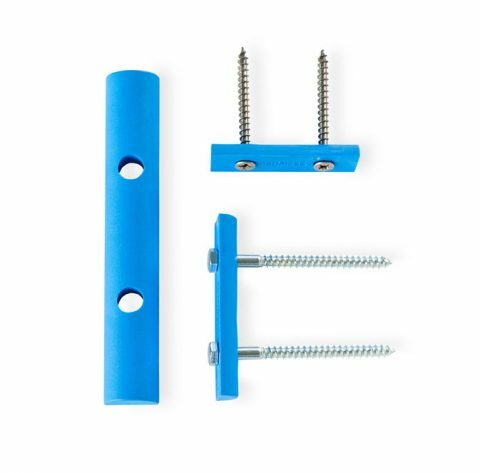 Lateral fastening fittings are made of nylon and allow fixing the sidewalls to the cross cleats. Their use is recommended from BSF-140 heights and above. 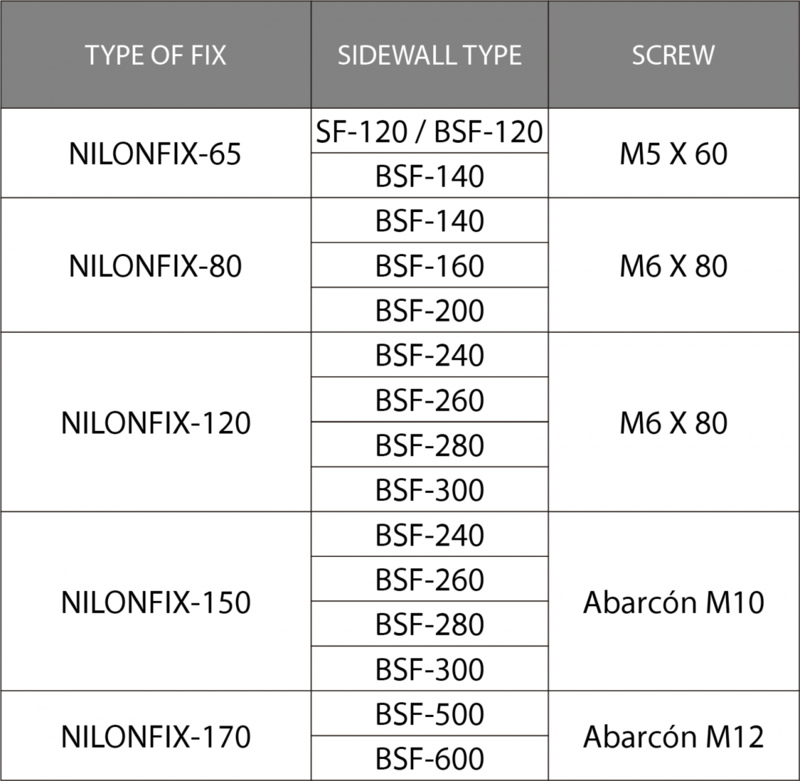 Each fix set comprises two parts made of nylon, depending on the type of belt, and 4 screws in galvanised Steel. Blinkers are fitted in-between the sidewall and the cleats profile. Their use is recommended only when the material to be transported is very fine and dusty. Blinkers avoid the transfer of materials through the small holes between the sidewalls and the cleats. 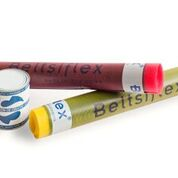 The Beltsiflex® system provides 2 technologies for producing its alignment wheels. These wheels can be produced entirely in damping rubber or entirely in steel with a rectified rolling zone in rubber. 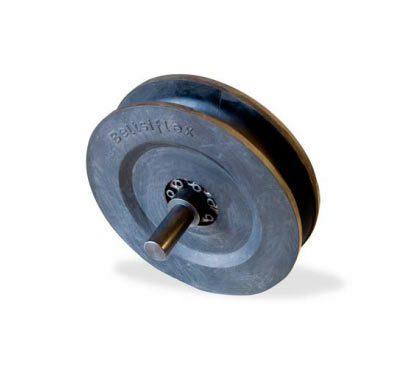 We recommend the use of these wheels for their convenience when it comes to installing the belt and in situations where the belt tends to divert itself from the centre, and requires rectification of its working position. However, they must only be considered as a secondary security measure. For maximum efficiency, they must be placed before drums and deflection points. 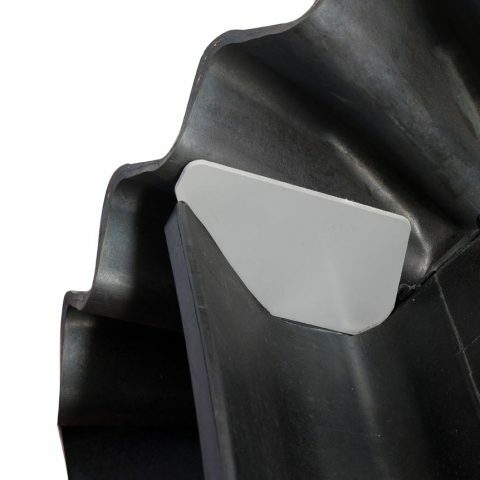 COVER RUBBER, filler material with specific characteristics for the running areas of the conveyor belt. UNCURED INTERPLY RUBBER, with outstanding properties of adhesion, tear resistance and flexibility providing a really good performance to the joints. 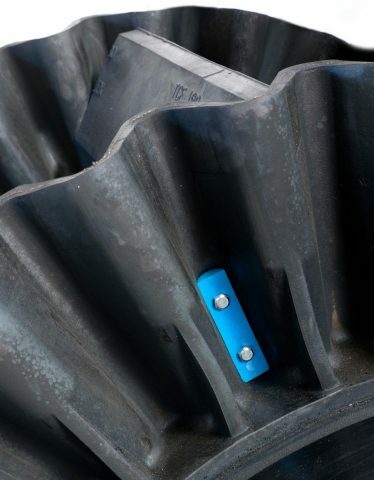 RUBBER SOLUTION, the suitable and necessary product for hot vulcanized conveyor belts. Depending on the width of the conveyor belt, the client will be provided with the appropriate materials for making the splicing kit.